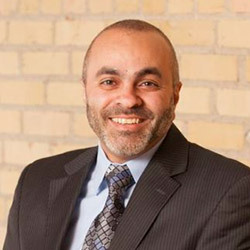 Congratulations to the North Dakota Chapter Governor, Fadel Nammour, MD, FACP. Our Governor started his four-year term as Governor in the Spring of 2019. As Governor, Dr. Nammour serves as the official representative of the College for the North Dakota Chapter, providing a link between members at the local level and leadership at the national level. To learn more about Dr. Nammour, read his bio below.